Nothing good lasts forever, not even your all singing, all dancing new Android smart phone. The warning signs are obvious, apps taking forever to load, constant force close notifications and a battery life shorter than an episode of Westworld. If you recognise these symptoms then listen up, because your phone maybe headed for a meltdown and there's only one thing left to do. It's time to reset your Android phone. 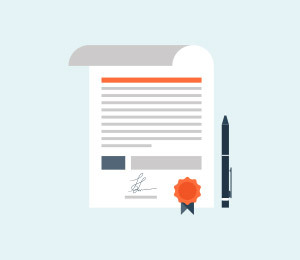 Before taking the plunge, there are a number of factors to consider. We've put together a quick guide to let you know what you need to know... and what you need to do. Before we start deleting stuff however, it's important to understand what a Factory reset is. 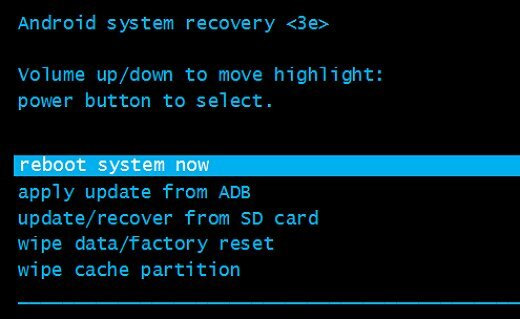 Part 1: What is Factory Reset? Part 4: Restoring Your Phone After a Reset. There are two types of reset for every Android device, soft and hard resets. 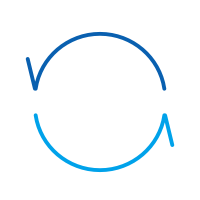 A soft reset is just a way to force the Android operating system to shut down in the event of a freeze and you only risk losing any data which wasn't saved prior to the reset. A hard reset, also known as a factory reset and a master reset, returns the device to the condition it was in when it left the factory. Performing a factory reset will permanently delete any and all personal data you have on your device. 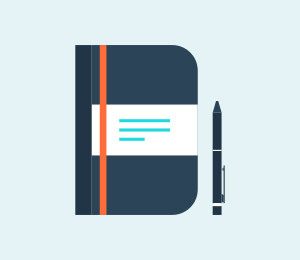 This includes any personal settings, apps, pictures, documents and music stored on your device. A factory reset is irreversible, which means before considering taking this step, it is a good idea to back your data and settings up. A factory reset is a great way to purge buggy updates and other malfunctioning software and can give your phone a new lease of life. Signs You Need to Reset Your Smart Phone. You'll probably already know if your phone needs a reset,but if you're unsure, look for some of the following signs. If you recognise any of the following symptoms then a factory reset is probably a good idea. If your phone is running slowly and you've already tried deleting Apps and data, but it hasn't resolved anything. If your Apps are crashing or you keep getting 'force close' notifications from your operating system. If your Apps are taking longer to load than usual, or your browser is running slow. If you find your battery life is worse than usual and you need to charge your phone more often. If you are selling, exchanging or just giving your phone away. If you don’t reset it, the new user can gain access to cached passwords, personal details and even your pictures and videos. Remember factory resetting will erase everything on your device, so it's essential that you back up anything you can't afford to lose. There are a number of Android data backup software for PC out there. Having a Google account will help you save your contacts and settings, but it won't save your pictures, documents or music. 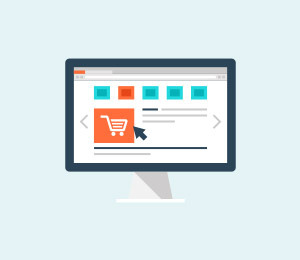 There are numerous cloud based systems available like Drop box and Onedrive where your data is saved onto a cloud based server, but you'll need a data connection or wi-fi to restore to your device and of course you are trusting a third party with your data. We recommend dr.fone - Backup & Resotre (Android). It's easy to use and will save everything and best of all you know exactly where it is. 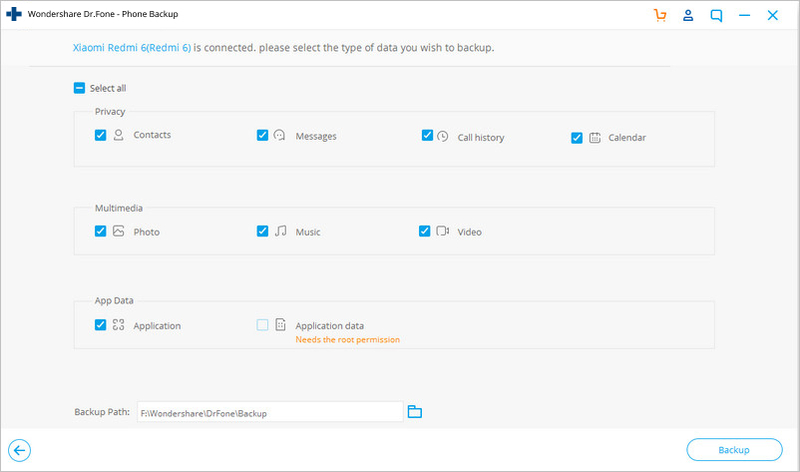 dr.fone - Backup & Resotre (Android) enables you to backup all your data, including contacts, messages, call hisotry, callendar, video and audio files, etc. You can choose to individually back up data or everything directly to your computer and then restore it whenever you like. 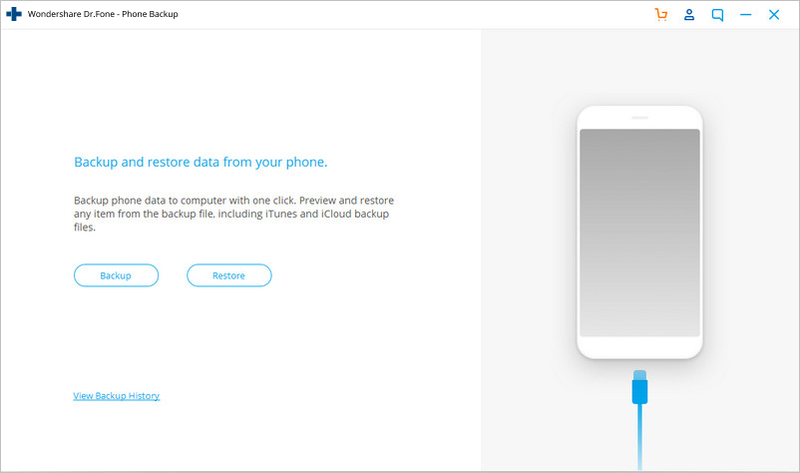 Back up and restore data from your device to a computer with a single click. It's a tried and tested program and compatible with over 8000+ devices. To use it, click the link, download it and follow these instructions. Step 1. Connect your Android Phone to your PC with a USB cable. Step 2. 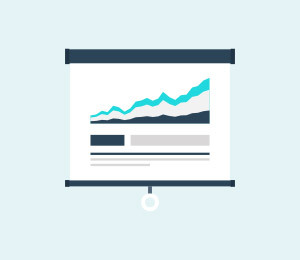 Choose Data Backup & Restore function. 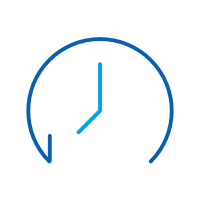 Run dr.fone toolkit for Android and choose Data Backup & Restore. This will allow you to back up whatever you want from your device to your computer. Step 3. Select the file type for backup. Click on Backup icon and then choose the file types to backup your device. 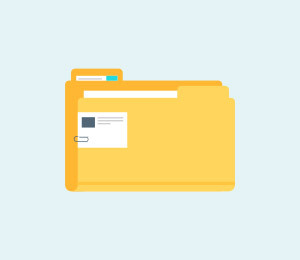 There are a number of options, check your preferred file type and you're ready to go. Step 4. Back Up your Device. When you're ready, just click 'Backup' on the buttom to backup your device. Make sure your phone is powered up and remains connected for the duration of the transfer. Part 3: How to Factory Reset Android Phone. After your data is safely tucked away, it's time to tackle the reset itself. There are a few different ways to reset your device and we'll look at them all in turn. Method 1. Using the Settings Menu To Factory Reset Your Device. 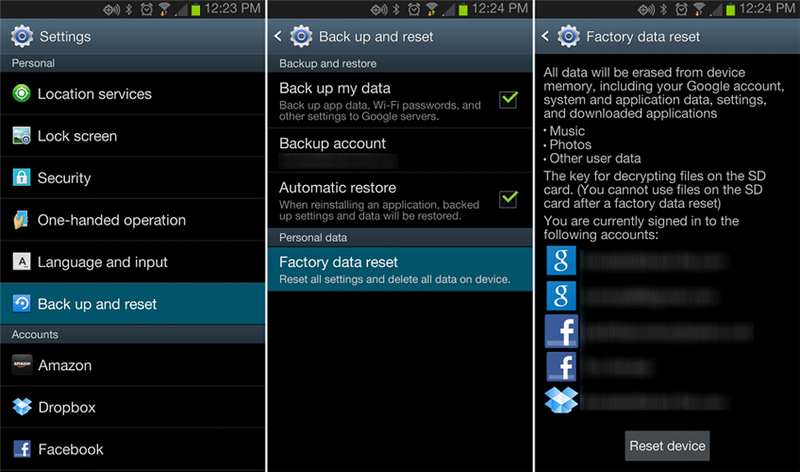 You can factory data reset your Android device via the settings menu by following these steps. Step 1. Open your phone, drag down the 'Options' menu and select 'Settings' menu. Look for the little cog in the top right of your screen. Step 4. If you have done this correctly a little Android robot will appear on your screen as the device resets itself. Method 2. Resetting Your Phone in Recovery Mode. If your phone is misbehaving it might be easier to reset it via Recovery Mode. To do this you must turn your device off first. Step 1. Press and hold the Volume up button and the Power button at the same time. The phone will now boot in Recovery Mode. Step 2. Use the Volume down button to choose Recovery Mode. To navigate use the Volume up button to move the arrow and the Volume down button to select. Step 3. If done correctly. You'll find an image of an Android robot alongside a red exclamation mark and the words 'No command'. Step 4. Hold down the Power button and press the Volume up button then release it. Step 5. 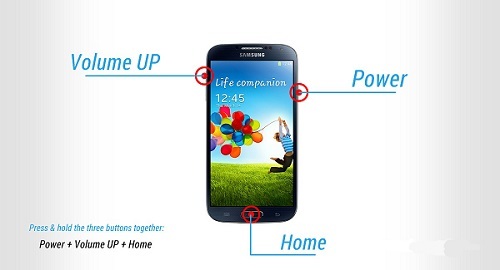 Using the volume buttons scroll to 'wipe data/factory reset' then press the Power button. Step 6. Scroll to 'Yes - erase all user data' and to complete the process press the Power button. Please note : Devices running Android 5.1 or above, will still require you to enter your Google Password to complete this reset. 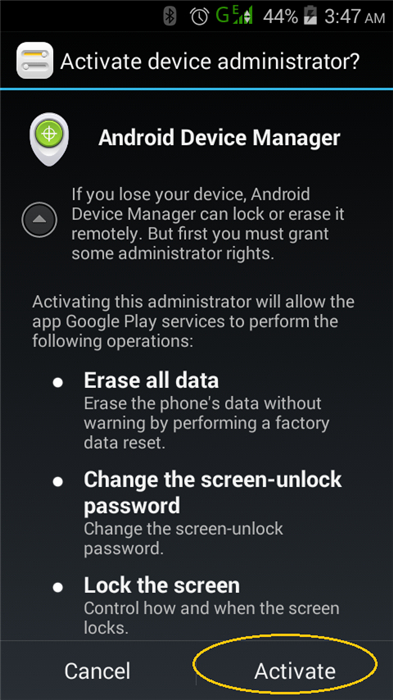 You can also perform a factory reset by using the Android Device manager App. Obviously you'll need to have Android Device Manager installed on your phone for which you'll need a Google Account. Step 1. Sign in to the App and locate your device on what ever medium you are currently using. 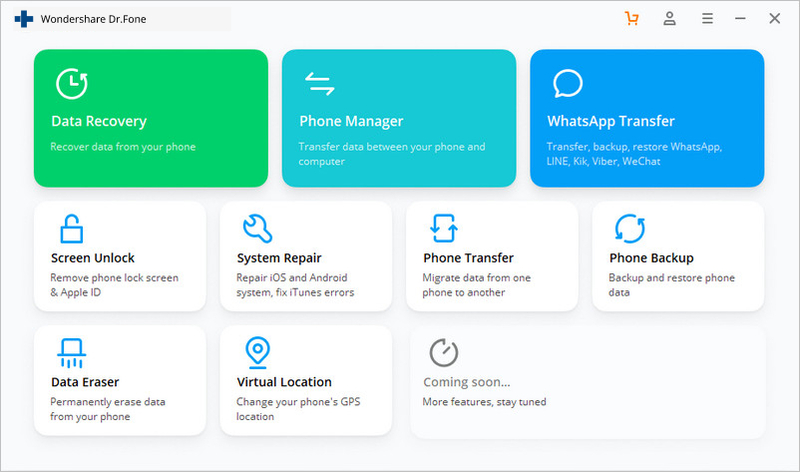 With Android Device Manager it is possible to Factory Reset a device remotely by using a PC or other device, but your phone must be logged into your Google account and have an active internet connection. Step 2. Select erase all data. This is particularly effective if you have lost or had your phone stolen and your device is running Android 5.1 or higher as whoever has your phone will still need your Google Password to be able to reset the Phone. Please note: this reset will also delete Android Device Manager and you will therefore be unable to locate or track your device. Once you have successfully reset your Android device to its factory settings, all you need to do is restore your original data. After you've completed this step your device should be just like new. It can be quick scary seeing your phone returned to it's orginal state. But don't panic. Your data is still safely tucked away on your computer. To restore your contacts and Apps just connect your device to the Internet and login in to your Google account when prompted. 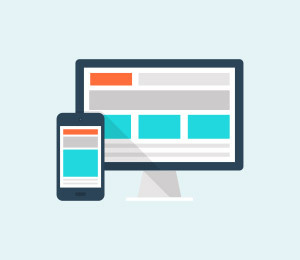 Once you have restarted your mobile, connect it to your PC and open dr.fone on your computer. 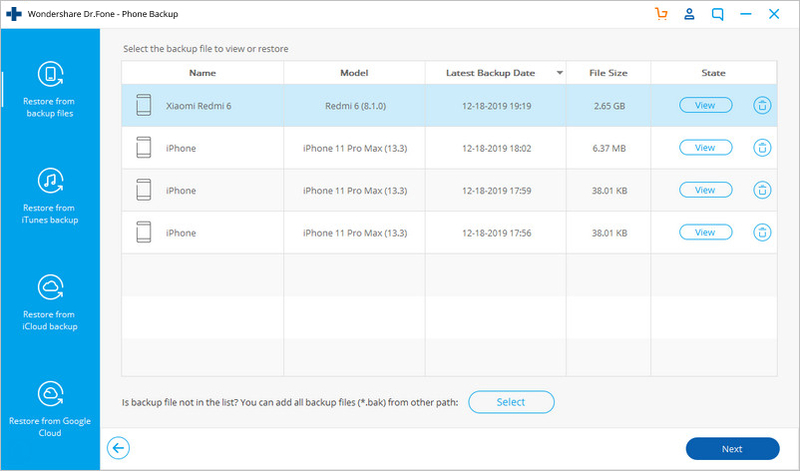 Select Backup & Restore, and click on Restore button to start restoring the data to your phone. dr.fone will display all the backup files. 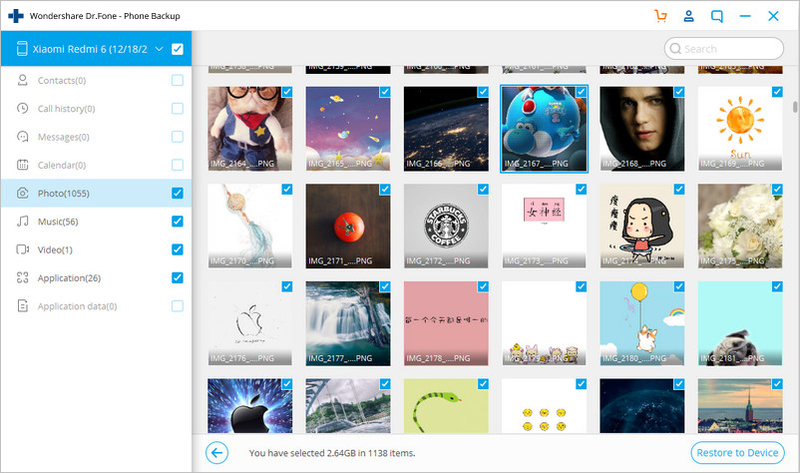 Select the backup file you would like to restore and click View. Then you will be able to select what files you want to restore. You can click Restore to Device to restore them all to your phone or just select individual data to restore. Once you've successfully complete your first reset, you'll realise how simple the whole process is and the next time you need to perform one, you'll be able to do it with your eyes closed. We hope our tutorial helps. We've all lost data at some point and there is nothing worse than losing treasured memories like family pictures, your favourite albums and other important documents and we hope it will never happen to you again. Thank you for reading and if we've been of some help please take the time to bookmark our page. This article will introduce you to the many unusual ways you can hard reset an Android phone, i.e., without using the volume buttons. How to Factory Reset Samsung Galaxy Tablet? Learn how to reset Samsung tablet in this informative post. We have provided different options for you to reset Samsung tablet without any hassle. How to Soft Reset Android Devices? This article will introduce you to the best 3 solutions for hard resetting your Huawei phone.